Since True Blood began in 2008, the fans have wanted to know about Stephen Moyer’s life. At first, there was little to be found about him, but as his popularity increased more has become available. I spent a good deal of the winter of 2009 searching through the internet and listening to his interviews to put together this biography. Then, his sister Amanda, was kind enough to read it and share even more information (Part 1) making it more complete and accurate. This biography has also been read and sanctioned by Stephen himself, so what you read below is the most up to date and correct account of his life to date. As more information becomes available this biography will be updated accordingly. 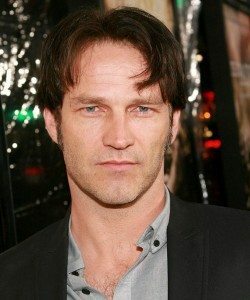 Many didn’t know Stephen Moyer prior to his role in True Blood, even though he has been acting and making a living at it for over 16 years. He is quoted as proudly saying, “I haven’t had to take a bar job since I left drama school.” However, he has admitted that he never wanted to do publicity for any of the films or TV shows he’d done prior to True Blood so, for all those years he was able to stay in the background and never had the notoriety that he is now experiencing. Stephen explained in an interview at the “Screen Actors Guild” screening of an episode of True Blood on 6/14/09 how he hadn’t done any publicity in all the years he’d been acting, and that now, contractually, he must. He explained how that wasn’t why he got into acting. He liked the anonymity and being able to enjoy the outdoors with his children, without worrying about what clothes he had on, or as he said, “If his knobby knees were going to end up on US Weekly” (he referred to a photo of him and Anna that was published by US Weekly). But in spite of the publicity and newly found fame associated with his role in True Blood he did say that… “There’s no other gig I’d rather be doing… I’m profoundly happy.” “For the first time in my life, I’m not chasing after anything, nothing out there I want. I’m not running away from anything because I’m not scared of anything.” For us fans, it is truly a benefit that Stephen has now embraced recognition, and we think he does a great job of representing himself and True Blood to the media. However, because he rarely spoke to the media prior to True Blood, not much has been written about him. Therefore, I’ve been asking myself, how did the acting bug get to Stephen and where did he come from? 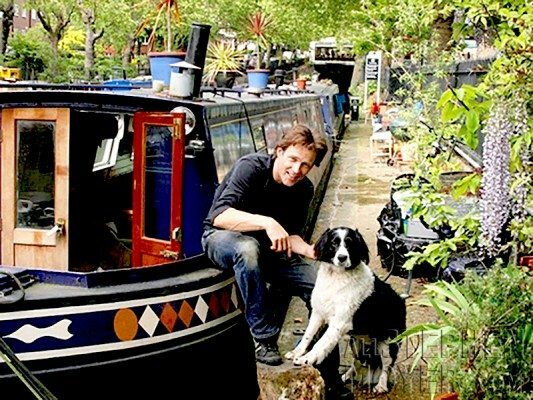 This lead to the creation of this biography which was compiled from scouring the internet and looked through magazines searching for information about his life to put here to share with the AllStephenMoyer fans. Having the help of Stephen’s sister Amanda has been vital to insure that we had the facts straight. We hope you enjoy reading more about our favorite actor and person, Stephen Moyer. The biography has become so extensive that we’ve broken it into separate sections hoping to make it easier to navigate. Copyright © 2010-2015 AllStephenMoyer.com All Rights Reserved – no copy of this biography may be used without proper credit to this web site as the source. This biography was written by Lynnpd. Great bio.Lyn you did a fantastic job. Love the page. Steve has certainly come into his own. I look forward to many more articles and pictures as he continues to hold us all inthrall. I too loved the article. One thing I have yet to see on any of the articles about Stephen Moyer is his height and weight. Do you know this, anyone? Very nicely done Lynn. Love the childhood pics, and the black and white one is so James Dean. Loved it! This is a wonderful edition to the site. Thank you so much! Thank you Stephen and Amanda for sharing this with us. Thank you Shad and Lynn for bringing this to us. I feel like a nerd for saying this but its crazy how Stephen and I have a few things in common….same birthday (different year) favorite color and activities and foods and the same thoughts on religion. I guess libra’s can be very similar! This was a very wonderful to read and made me smile. I am overjoyed for his future with Anna and his children, very happy for them all. OMG! That picture is ADORABLE! I just wanna pinch his chubby cheeks! I loved this part: “Known for his extensive collection of t-shirts.” I LOL’d so hard. Oh and he’s one hell of a GQMF in that black&white pic! Great job on the biography. Thank you so much. This is truly a wonderful addition to the site. You all are the best! Beautiful Bio of the Board God. Thank you to Steve and Amanda for providing such wonderful pictures and information. Thanks to Lynn for putting it all together. What a cutie he was when he was a child. He turned into a handsome young man. All the girls loved him ! I am still waiting for the bearskin rug picture, afterall, if I can bear all for him , he should bear all for me ! LOLOLOL !! I wish him continued success in his work, much happiness in life and 100 more years of good health. He’s a prince. This was a pure pleasure to read, and I can see that it was a labor of love. Many thanks! Very well done Lynn….thank you to Steve and Amanda for sharing this story with us. This man is a lot more talented than we could ever know. I could see him doing more and more projects in front of, and behind the camera. 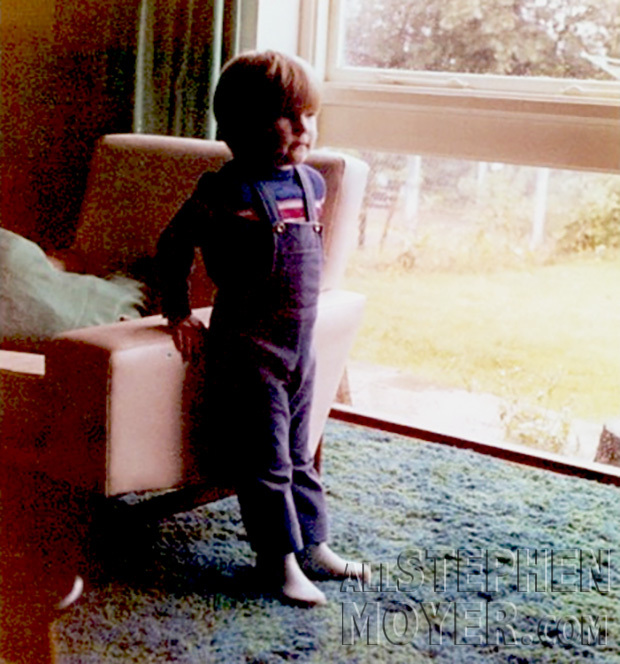 The photos are wonderful….of course we knew he had to be a beautiful baby! Great addition to the site and thanks to everyone. Thank you so much for this bio. So nice to see the childhood pics, too. Wow! This is dedication. You did a wonderful job and I appreciate your hard work and research. I am so glad that the world knows Stephen now. What a wonderful addition to this site. Many thanks to Amanda and Stephen for sharing some of their personal photos with us. It was a real treat to view never before seen pictures of Stephen at different stages in his life and learn a few new things about him. Lynn, you did a fantastic job putting it all together. Wonderful! Thanks for the contributions from sister Amanda and all the hard work that went into writing the article, Lynn (labor of love, I’m sure). This was a sheer delight to read. Thank you, Stephen, Amanda and Lynn. The pictures are wonderful, the story a treat … lovely to have this chronicle of Stephen’s life from his early years on. Wishing Stephen all the best in his future on screen and theatre endeavors. He IS Bill Compton. I cannot imagine another actor playing the part of our dark, soulful, mainstreaming Vampire Bill. Congratulations to Stephen and Anna. Wishing you continued happiness and much joy in your life together. Great work! I too, looked on the net to find a biography, and yours is very well done indeed. I had first seen him in “Prince Valiant”! I wish Stephen & Anna much happiness. They’re my favourite couple, so I fobid them to break up, lol! loved all the info, what a good job,and thanks to stephen and amanda. now a nice quiet wedding should be in the near future and i will be extremely happy for them. they are my favorite couple also. Great Bio!! Thank you for putting this together. Beautiful job on the biography; it’s a nice summary to Stephen’s life thus far. I knew he had to be a beautiful baby because baby look at him now. It is so nice to fill in some blanks on Stephen’s life, thanks to Amanda and she resisted the urge to reveal any embarassing childhood stories. Now that is sisterly love. The b&w photo is very James Dean with a bit of young Clint Eastwood hair for good measure. I like it a lot. Obviously Stephen was destined to become the fabulous actor he is today and fated to meet his lady love Anna. I wish them and their family a lifetime of happiness and continued success in their careers. Thank you Stephen and Amanda for sharing the info and pics . Thanks Lynn for a job well done. Thanks Steve and Amanda for sharing the photos and memories with us. Thanks Lynn, Shad and Lism loved reading it and the pictures are great. Steve is so cute as a toddler and I love the black and white! Lynn thank you for this wonderful biography of Stephen’s life and thanks also to Stephen and Amanda for taking the time to share this info and pictures. I thoroughly enjoyed reading this! Shad, thanks again for The Vault and ASM and all the work you put into it! I thoroughly enjoyed reading this bio! Than you all so much! What a wonderful article about our favorite vampire! Many thanks to Steve, Amanda and Lynn for allowing us to share some of your earlier years and your well deserved rise to superstardom! They say sometimes success just falls in your lap and even though we see how hard he has worked all these years to achieve this level of success, I think TB has really been the breakthrough he was looking for. We all love Stephen for the wonderful, funny, charming person he truly is and it’s easy to see how Anna fell in love with him also. Many years of happiness to you both. You know there are thousands of us out there wishing you nothing but the best! Thank you to Lynn and Shad for all your work on The Vault and ASM. A special thank to Stephen and Amanda. This is why we love him he is so open and accessible to his fans. He is very real, and I marvel at his passion for his life, family and work. I was very moved about “embracing the fear.” I am working on that myself. When I’ve heard him talk about fearlessness, I was think of Steven Curtis Chapman’s song, “Miracle of the Moment,” fully experiencing the tears and the laugther in your life. Billsgirl, I’m glad you mentioned Stephen’s words about “embracing the fear”. That’s a problem I struggle with also. Stephen’s example will inspire many of us, I bet. Thanks Lynn, for the excellent biography–I loved reading it and learning more about Stephen. And thanks also to Stephen and Amanda for supplying info and those wonderful photos! I think it’s so nice that Stephen is willing to share a little of himself (aside from his brilliant work) with us fans. What a mensch. We all struggle with that, a very recent experience taught me to be less fearful and just jump in. Because you’ll never know when your number is up until it’s called out and then it will be too late. Shad that is so true! Live every day like there is no tomorrow, then when tomorrow comes do it all over again. Fear is the thing that holds us all back from reaching our full potential, thanks Stephen for reminding us of that. Thank you too Lynn for this great bio … you know we all can’t get enough of our favourite man! Stephen if you’re reading this, you and Anna are so damn cute and normal and adorable together in the photos that we see and I wish you and your family a life filled with joy and happiness. And I would like to ask you to please come to Bitten, the True Blood convention, in Northampton from August 6 – 8, 2010. 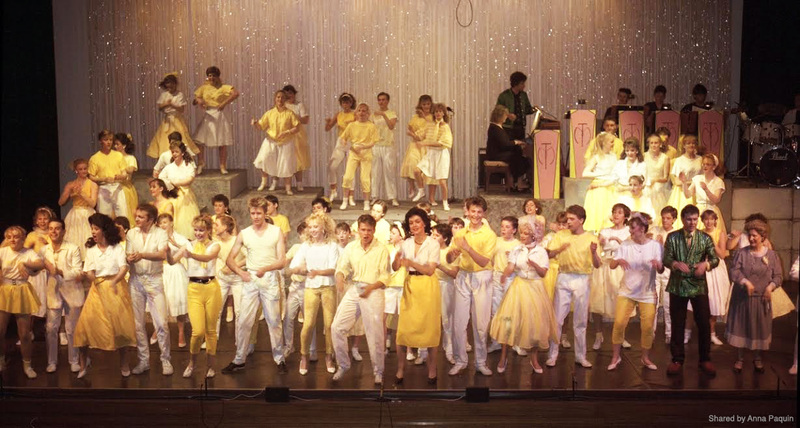 A group of us are coming from across the globe to see you. :( When we bought our tickets we felt sure that he and Anna would come because it will be the first convention on his home turf. I do look forward to meeting you though Shad … alas, you are not Stephen! This was VERY well done, Lynn!! Thanks to you, Amanda and of course the beautiful Stephen!! I’ve already said before that Stephen is the most beautiful man on the planet. He’s also the most talented! I was amazed at just how talented he has always been! Wow…….beautiful, talented, charming, charismatic, sweet, funny, and as UN-Hollywood as a Hollywood celebrity could possibly be. If that isn’t the TOTAL PACKAGE I don’t know what it would be. I love everything about this man. Wonderful bio, Lynn!! I now feel fully educated on Mr. Emery/Moyer, and that’s all thanks to you (and Amanda). The pics are gorgeous, too. What a wonderful addition to the site! Thank you Lynn, Amanda and Stephen for putting this all together. It was a real treat reading it, and the pics are a nice personal touch. Wishing Stephen continued success and happiness. He deserves it! The biography is fabulous! Thank you Lynn, Amanda, and Stephen! I always love learning more about Stephen. :) I wish Stephen continued success in the future, and I’d love to see him direct an episode of True Blood! he was a heartbreaker even as a kid. I echo what everyone else has said: Great job ! Very informative and interesting bio. The pictures are the cutest. Thank you Lynn. And thanks to Amanda for the pictures and added information. It’s good to know Stephen approved it also. I am so happy that Stephen is so involved in his children’s lives. It indicates to me that he certainly has his priorities straight, which is an excellent omen for his upcoming marriage. I only wish we could purchase some of his UK TV work, such as “Men Only”, and “Empathy”, as well as “NY-LON”. They would certainly bolster my Stephen Moyer DVD collection. Here’s hoping they will be available some day soon. I am really proud to be a fan of this wonderful man! Bravo! What a nice gift, to know more about Stephen. (I love that his given name Emery is associated with my family and my cousins share his name, one being Steven!) Also bypassing the personal aspects of it regarding Billy and Lilac. Good for you! This is a fabulous addition. I love it. Great job and thank you for all the hard work. I really enjoyed reading this. I am amazed at what he accomplished even before graduating. 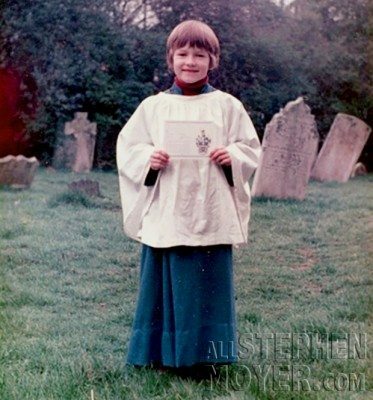 The photos of young Stephen are so precious and I am really intrigued with the programme. Great logo for the Rejects. I’ll have to watch 12 Angry Men again and imagine Stephen’s young face and short 50’s-style haircut as juror 5. I wonder if they all did New York accents? Nice pics from the movies (esp. Jason and Marcel) and you picked a couple of my favourite recent photos too. Thanks for all the effort to give us something new to pour over. It was lovely of Stephen & his sister to help you out. A big thank you to all in getting this wonderful bio of Stephen to us fans. Lynn your fantastic, Shad can’t thank you enough for all you do and Amanda and Stephen thanks for sharing. Marvelous. Hats off to an outstanding actor. Cheers to his sister, Amanda, and to our fellow Billsbabe, Lynn, you go girlfriend. Thank you all, including, but not limited to, Shad. Fabulous job ladies! Love the biog, and the photos. The part that excited me the most was finding out that Stephen is friends with Julie Hesmondhalgh! So Vampire Bill is buddies with Hayley from Coronation Street?!! That made my day! Lynn, you did a wonderful job. It’s wonderful to get to know more about Stephen. The pics are priceless. He is as handsome then as he is now. The thing I enjoy most about him is that he’s an amazing father. Stephen, thank you for sharing you life with all the Billsbabes and the rest of the world. I do not know how I should begin. Which article! Billsbabes, Shad, Lynn and LISMVR you are best! I love your enthusiasm. Thank you ! To read these tidbits in the morning, may my day start better? I enjoy Stephen’s language. His wording, descriptions, comparison and transparency … makes me excited, am ……… I hope its not because my English is so bad. But Stephan is very inteligent and musical and charming and talented – very nice combination! What a great adition to this already fantastic site! Thanks to all involved for the time line of Stephens life & for the pictures to accompany it. Seems Stephen has always lived the life on his own terms & that dedication to his craft has certainly proved beneficial. So happy to know a bit more about you Mr. Moyer & looking forward to following you as your career expands! Love the text and the photos – always fascinating to see what came before, in the life of a wonderful actor. Thanks for the great job Lynn, and many thanks to Amanda and Stephen for sharing all of this with us. OMG ladies, you have done yourselves, Stephen, and all of us, his devoted fans, proud!!! I was already enamoured with him and now I am just overwhelmed by all this. Stephen is the best and the brightest talent to come our way in so very long. Reading about his past and his determination to become a great actor only reaffirms what I always believed about him. So much talent!!! Such a professional. And all wrapped up in the perfect package! My admiration for him grows and grows in leaps in bounds. My thanks to you ladies, Stephen, Anna, and Amanda for giving us this glimpse into his amazing life. I only wish the best for him in all he desires. Life, love and happiness. My hats off to you Stephen, you have a fan for life in me and so many others! This is the best! Thank you for the awesome pics and info: a real treat. Fangtasic Bio. Such a great actor. I look foward in seeing Stephen in all sorts of new movies this year! Thanks for putting this together. Thank you to everyone involved in putting this together. Like everything on this website, it reflects an enormous amount of love and respect for Stephen and he deserves it all. Though True Blood has finally brought him recognition and legions of fans, it’s what I learn about him as a man that really raises my love and admiration to a higher level. Once again, thanks to all. What more can I say that hasn’t already been said? A wonderful portrait of a talented actor and a great human being. I love Steve and Anna so much, they are my favourite couple, and I wish them a lifetime of happiness and professional success. I love the photos and all the other goodies featured in this bio, it certainly fills in some blanks. Thank you to everyone who contributed to it. love it! I wonder why Stephen chose Moyer for his last name. Kudos to you Lynn on a job well done! I thoroughly enjoyed reading the bio about Stephen. As anyone could see, you really put your heart and soul into this project. I’m sure Stephen and his sister Amanda will be happy with the results as much as us fans are. Stephen’s philosphy on life is quite inspiring and I enjoyed reading his interview again with Venice magazine. I wish Stephen all the best with his future endeavors. I’m sure we’ll be seeing this gifted actor for many more years to come! He is a wonderful and very talented man, I am pleased that I can know him with True Blood. Thank you for the story and the pictures. Thank you Lynn, I really needed this after the news today that a cherished co-worker passed away over the weekend. Terrific bio for a terrific actor. Would love to see him in his own starring role in a major motion picture either on hiatus or after True Blood. Especially loved what he had to say about loving the whole process of film making, the crew, watching other actors etc.,confirming what “Lorena” has also said about his generous nature. It would be a great birthday gift for me which by the way is July 24th, anyone else we know on that date???!!! thanking all involved for this. it is so clear that he has always been special; right from the ground up!! love the photos. love the reject society. stephen, it will be a treat to see your career develop here in the states. you clearly have so much to offer. still, i was hoping for the picture of the 4 year old in the bunny suit. ever since mark reed mentioned it, i’ve been dying to see it. Super actor, of course….we share a birthday together! Love this site, thanks! I just re-read this bio., and it is so well written and organized. It is nice to look at it now and then. I love reading Stephen’s quotes. He is just one of the most honest, intelligent, down-to-earth performers I have ever heard or read. There is just no hint of over-blown ego. It is so refreshing and lovable. I loved this bio! Thank you so much, Lynn! It’s great to read about Steve’s personal life with Anna, the kids, hobbies and that sort of things. Steve seems like such a wonderful guy. And how cute is the picture with him and Anna??? He’s amazing…! Loved the updates Lynn. Well done! A delight to read Stephen’s bio. Excellent updates, Lynn. Thanks to you and to Stephen’s sister Amanda for her input. Thanks for putting this excellent biography together. You did such a great job! Hi everyone! I’m 18 years old from Greece and I love very much Stephen Moyer! He’s amazing actor, he is my favorite, he and Tom Cruise. I’m a fanatic of the television series in which he plays in the True Blood, he is very realistic in the role which he is playing, if he was coming really to the door of my house and he was hitting the bell and I hadn’t seen him again, I’ll thought that he was a true vampire, he is such a good actor. I watched 38 episodes in three days, because I hadn’t seen them of old, and I was very in agony, I were waiting to see the scene which Bill played. Bill is 41, but has the passion of an 20 years old man. I am glad that there are still such good actors like him today. Bill Compton please, do you want to drink of my blood??? I hope you really, be so gentleman, as in series! I adore you Stephen! I’m a Chinese girl!I love Stephen Moyer and True Blood so much!His performance is so amazing! Grear Web! I`m Argentinian and i have not seen True Blood until a month ago. I became a big fan of the show and of course, Stephen. Great job, administrator! Thank you for the very detailed bio on Stephen! The care you took to research and compile all the info shows and is greatly appreciated. his and anna’s characters are my absolute fav from the start of true blood. big fan from the uk. my favorit series for ever. true blood . iam ali from iran!! Hi, something I didn’t understand is this Stephen Emery name..His real name is Stephen Moyer correct? Was Stephen Emery a stage name he used at one time? One other thing, I hate to be critical, but your site seems to scroll on its own. This is very annoying to visitors trying to read the text. If this is an accident or if this feature was purposely added to the code I strongly recommend you fix or disable it.It will give your patrons less headaches. jim_morrison_mania2007 No, his real name is Stephen John Emery, his stage name is Stephen Moyer. He had to take the Stephen Moyer because when he applied in England to be an actor, his real name was already in use. Our site doesn’t scroll, I don’t really know what you are referring to. It only scolls when you tell it to in your browser. Thank you for clarifying that for me. I thought Moyer was his birth name. You have a very nice site and it must have been awesome to talk with Stephens sister. The site still scrolls for me (and it is the only one that does so). I had a hell of a time getting this reply typed in. Nice site I will visit again! Oh, such a cute little guy!